While writing the outline for Hackberry Hollow we’ve been thinking a lot about how the magic system will look. You’ve probably heard the saying, “Show, don’t tell.” We’ve been very careful to make sure we show what happens in the story instead of having characters (or a narrator, which we don’t have) telling you what’s going on. We wanted to do the same for our magic system as well. Instead of explaining how it works we hope that the visual design of the magic system will show it, so the audience can figure it out on their own and have enjoyment in discovering what everything means. 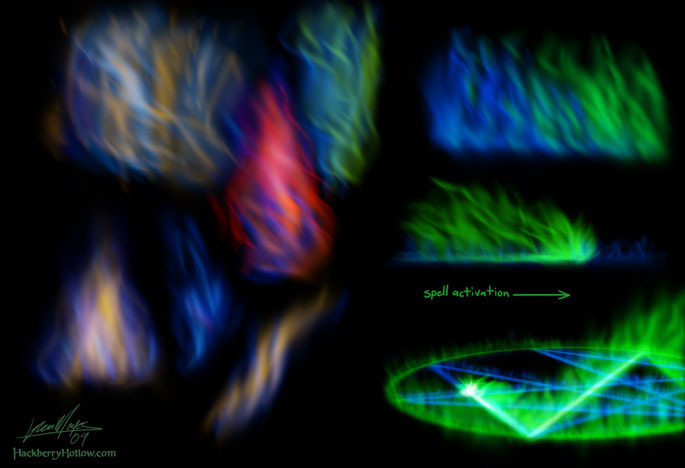 Along with the shape and motion of the magic smoke, or more precisely the spirit energy, color also plays an important role in the visual design of the magic system. A couple months ago we posted some creature concept art that showed an undead wolf and a its ghoul counterpart. You can tell the difference between the two because one has glowing green eyes and the other is red. Necromancy is not the only aspect of the magic system, so we came up with a color code for those as well. Essentially what we wanted to do was to unify the magic system, and come up with visual cues so readers can know what’s going on. If a character does something clever, the readers will have all the visual cues they need to know what just happened without any kind of exposition. So here’s some concept art experimenting with color and how they’ll mix together. I’ve been using my own smoke brush to do the effects, which is why everything looks airbrushed. In the future when we are a little further along with the visual design of the magic system we’ll be playing around with the rendering style; the backgrounds and characters won’t be airbrushed so the magic probably won’t be either. 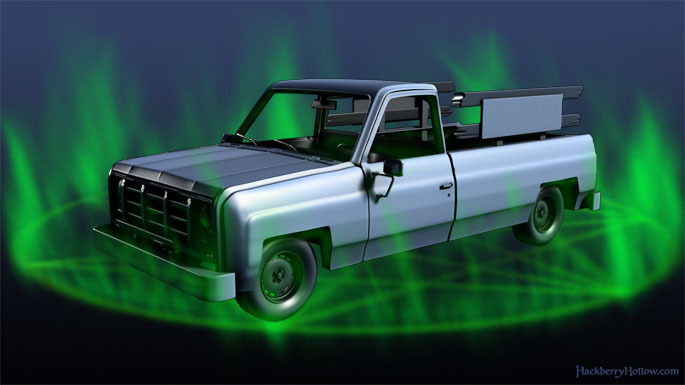 The create undead spell can be used on anything that’s dead—except maybe a truck. But that won’t stop us from trying. I’ll have to refer to the manual to be sure, but you may have just voided the warranty. Meh. It was a rental. Great magic effects! 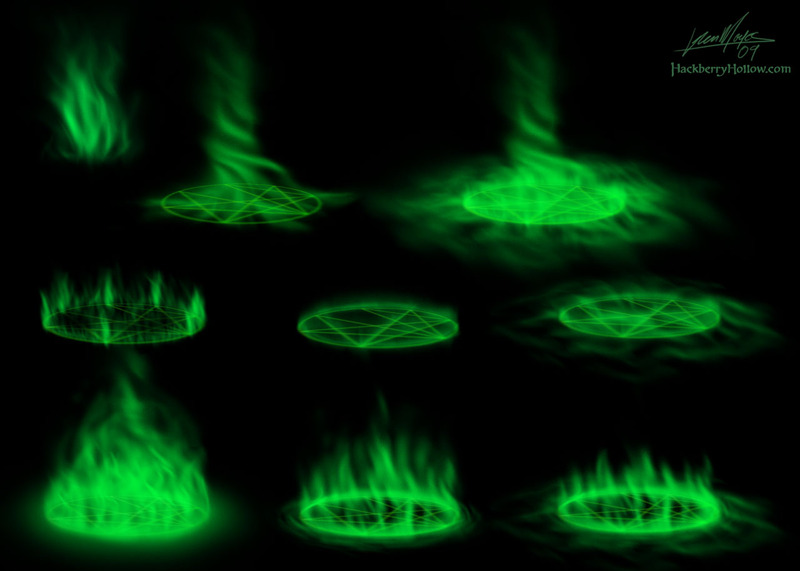 Good thinking to use skewed alchemy symbols.